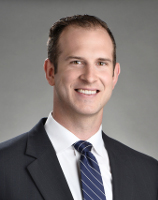 Joe joined Cushman & Wakefield | Pyramid Brokerage Company after a successful Major League Baseball career with the Baltimore Orioles and Miami Marlins. After his playing days, Joe ran a technology based startup company in the Albany area before joining our team. He began his education at the University of Richmond and completed his Bachelors Degree in Communications locally at the University at Albany. Joe’s experience in high pressure situations, competitive nature, and constant drive for success allows him to provide consistent results for his clients. Joe provides his clients with a wide range of corporate and commercial real estate services throughout the Capital District.